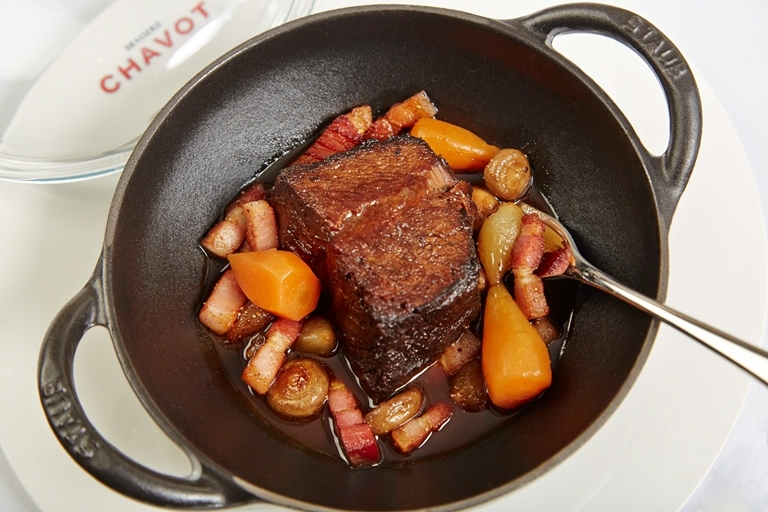 Eric Chavot presents another French staple in this daube de boeuf recipe. The 'daube' in the title comes from the French 'daubière' - a kind of braising pot used for the long, slow cooking of less tender cuts of meat. This recipe uses beef featherblade to continue this tradition, a much overlooked cut that offers just as much flavour as more expensive alternatives when cooked correctly.